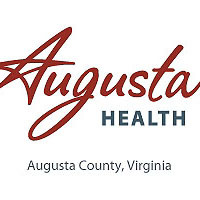 Walmart and Augusta Health today announced Waynesboro’s newest location for basic health care services – “The Clinic at Walmart” operated by Augusta Health. This convenient care clinic will open Tuesday, Sept. 6 at 10 a.m. inside the Walmart located at 116 Lucy Lane in Waynesboro. The clinic will provide convenient, affordable access to basic health care services, seven days a week, with no appointment necessary. The walk-in health clinic is the second owned and operated by Augusta Health in a Walmart. The first opened in Staunton in July. The clinics are open for walk-in care Monday-Friday, 10 a.m. to 7 p.m.; Saturday 10 a.m. to 5 p.m.; and Sunday, noon to 5 p.m.
During its first year of operation, the Clinic at Walmart in Waynesboro will be open 57 hours per week, and many of those hours will be evening and weekend hours. The providers expect to serve more than 6,100 patients during that year. If the need is greater than expected, more hours will be added to meet the patients’ needs.